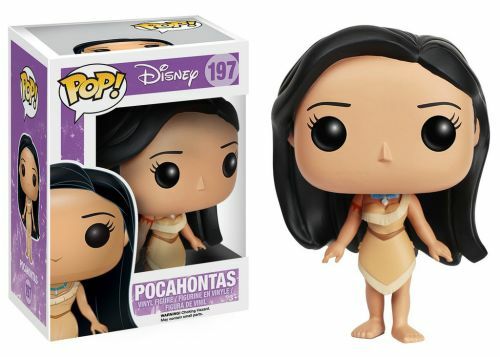 An American legend receives stylized figures in the Funko Pop Pocahontas set. Still a small release in comparison to many of the other Disney cartoons, Pocahontas is represented by a handful of vinyl choices. Included in the main Pop! Disney line, the Powhatan princess stands barefoot in her stoic pose. The wide-eyed beauty's jet-black hair is seen behind her, falling just below her waist. Accented by a turquoise necklace, Pocahontas dons the customary tan buckskin dress. Shop for Funko Pocahontas Figures on eBay. 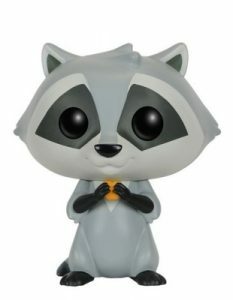 Additionally, Funko Pop Pocahontas includes her closest (animal) friend, Meeko. The mischievous raccoon's body is colored in different shades of gray with black limbs that match the mammal's mask. Meeko is positioned on his back legs, holding a snack with both paws. Although many are familiar with the Native American’s fable, Disney's animated musical is only slightly based on the traditional tale of John Smith and Pocahontas. The 1995 film features the indigenous American as a young adult who falls in love with Smith, a British soldier. Fans and collectors of Pocahontas seeking a small adventure can look into Funko Disney Princesses Mystery Minis. 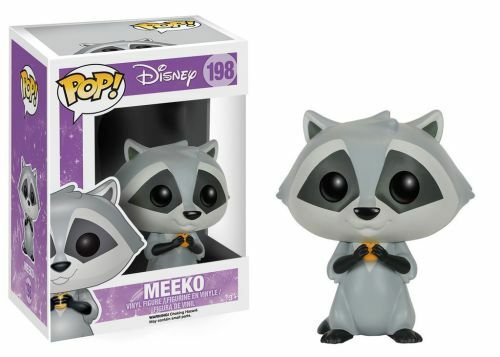 The miniature set includes Hot Topic exclusives for Pocahontas and Meeko, who has tougher odds—falling 1:72 boxes—than his human friend, at 1:12 boxes. 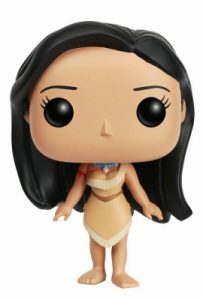 Pocahontas Disney Funko POP 197 Original, Vaulted. Brand New, Never Opened!